Margaret Mead was an author and speaker for the mass media and an American cultural anthropologist. After completing her graduation at Barnard College in New York, this brilliant woman went on to acquire her MA and PhD degrees from the prestigious Columbia University. Margaret had a broad and liberal mind for her time and generation. Margaret’s quotes were extremely popular and famous. Margaret’s sayings and adages had a profound impact on Western culture as well as on Americans. 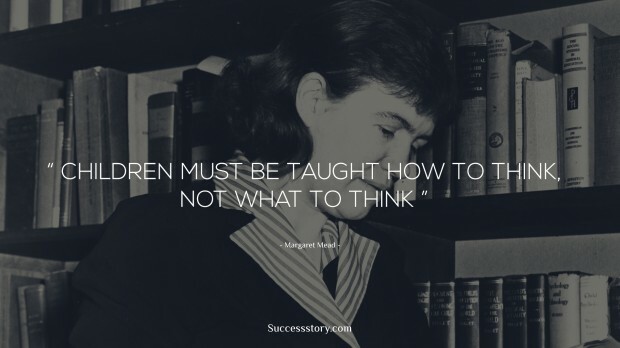 Margaret truly believed and urged others to believe that a child should be taught to think and not how to think. "Children Must be taught how to think, not what to think"